Frederick K. Goodwin, M.D., is Research Professor of Psychiatry at The George Washington University and Director of the University's Psychopharmacology Research Center where he conducts research on manic-depressive illness. He also directs the Center on Neuroscience, Medical Progress, and Society at the George Washington University Medical Center. At the Center, Dr. Goodwin's policy studies focus on the impact of changing patterns of health care on quality and innovation in medicine. 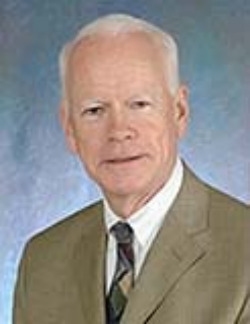 A physician-scientist specializing in psychiatry and psychopharmacology, Dr. Goodwin served from 1981 to 1988 as NIMH Scientific Director and chief of Intramural Research. He joined the NIMH in 1965 and has become an internationally recognized authority in the research and treatment of major depression and manic-depressive illness. For example, he was first to report the antidepressant effects of lithium in a controlled study. A graduate of Georgetown Univ., Dr. Goodwin received his M.D. from St. Louis Univ., and took his psychiatric residency at the Univ. of North Carolina in Chapel Hill. He is a Member of the Institute of Medicine of the National Academy of Sciences and a Fellow of the ACNP. He serves on the editorial boards of key scientific journals, including the Archives of General Psychiatry, The Journal of Clinical Psychopharmacology and is a founder of Psychiatry Research.